This authentic sea marble of minty green and brown is sculpted in a beautiful sterling silver curl and enhanced with a tiny starfish adorning the side. 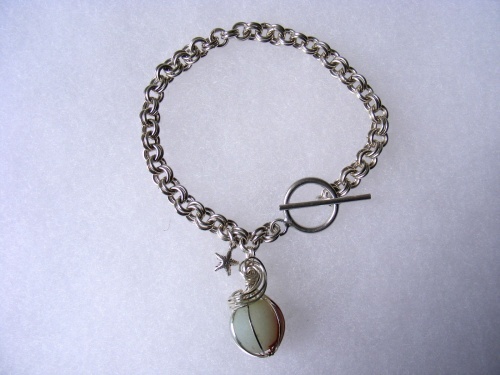 Bracelet is handmade 2 in 2 chain with handmade rings in sterling silver as well. This is very unique and definitely one of a kind.